Anthony, as he lost his mother this past weekend. seeing Cherry Ames and Princess Pea – two weekends in a row!! Back at it. I hit my scream weight last week, which means it’s time to buckle down and rein it in before it gets out of control. Constant vigilance, my friends, constant vigilance! Mom’s Pretty Knitted Thing is right where I left it a few weeks ago, more than half way finished. 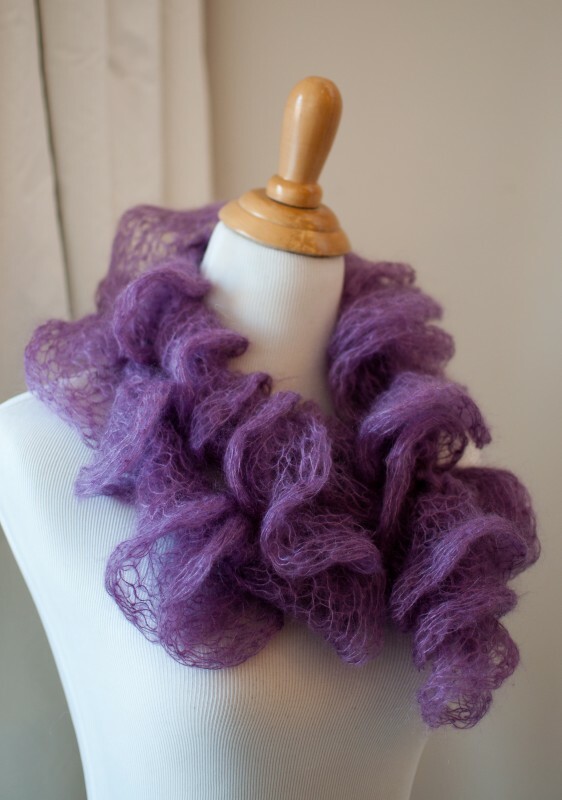 I made a fluffy, curly scarf for my niece for her birthday. I need to start another one for her younger sister ASAP, as she was eye-balling it and threatening to steal it the moment they got home. I’m coming to the end of my stash of pre-assembled meals in the freezer, so it’s time to plan and restock. It’s especially important to keep healthy meals on the table as we head into the germ infested craziness of late fall and winter. Mountain Bike Trail Building! Now this may not seem like fun to some, but for me and mine? A day of swinging tools and wielding chain saws = bliss. Mostly because it burns off teen-boy energy in a major sort of way, which makes my day so much calmer. 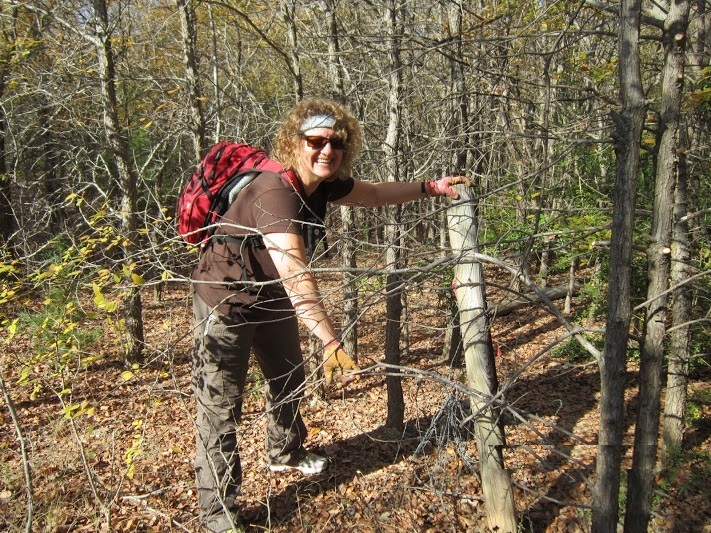 That’s me, rolling up an abandoned barbed wire fence. We did a quick ride on dirt this weekend – The Architect’s first dirt ride since the accident! He did great and the leg appears to be recovering quite nicely. We warned him to stick to the blue/green trails, no jumping obstacles and to keep the speed under 10 mph. History Fair Project completion, Mountain Bike club meeting, long walks at lunchtime to enjoy the spectacular weather. Good morning Angela. I always enjoy reading about the bits and pieces of your life. You sound like a very close and active family. (smiles)…always love your list. The menu sounds awesome…I am inspired! I always have to laugh at how specific our instructions to boys need to be. No jumping and keep the speed at under 10 mph. LOVE IT! Glad to hear Architect is doing well. I love that scarf! It’s spectacular! I love that you guys work together on the bike trail. We (Mike and I) did that here too. It is an awesome afternoon of cleaning, shoveling and then biking. Though I’m scared to bike on our mountain trails. I do play on the littler trails. One day maybe. Take care and I hope that your week is going awesome.